Gridiron Hub own and run the Amelie Fund. The Fund is lovingly named after Amelie Autumn Price, the late daughter of Gridiron Hub Co-Owner, Steve Price. Gridiron Draws is the non-profit section of Gridiron Hub that contains a number of Community Raffles. These fully licensed raffles are aimed at the Gridiron Hub community as well as the general public with all proceeds (money after cost deductions) being placed into the Amelie Fund. We will occasionally purchase products from charities to sell and raise money for the Amelie Fund. Doing so will raise awareness for the particular cause and benefit our sport. 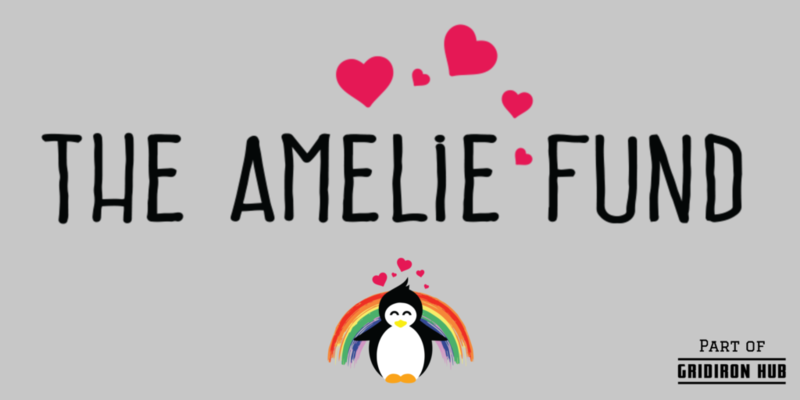 People and organisations can also donate directly to the Amelie Fund, please contact us on [email protected] for more information. Funding Requests refers to specific requests made by American Football Clubs and supporting organisations in the UK. This will be the main focus for the Amelie Fund. To read more about Funding Requests, please visit the Gridiron Funding page. The charitable initiatives supported by the Amelie Fund will be those that the various members of the Britball Community get involved with. Over the years Gridiron Hub and Gridiron Memes have donated hundreds of pounds to charity games and other charitable efforts within the community. This has ranged from haircuts for mental health to raising funds to support family members after the death of a player. These efforts will continue under the Amelie Fund banner. 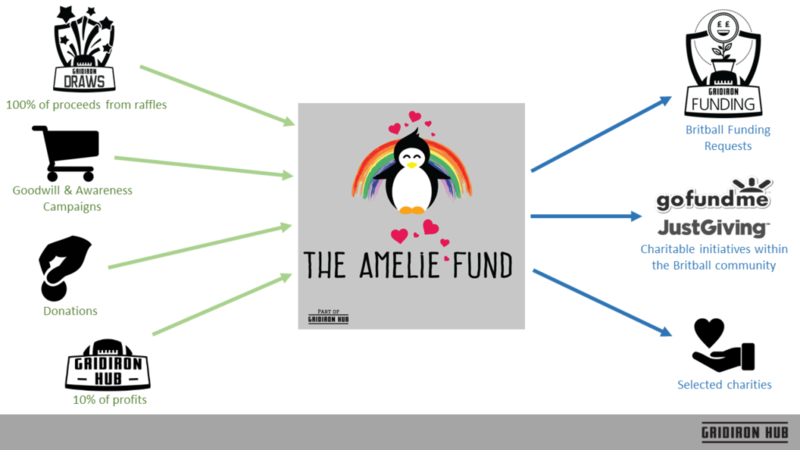 Lastly, the Amelie Fund will look to make bulk donation payments to registered charities. These will be selected by the Directors of Gridiron Hub. This has been added specifically after Steve (and his family) have raised almost £3,000 for the Rainbow Trust and 4 Louis since Amelie’s death. The money was raised by asking for donations instead of flowers at Amelie’s funeral. Some family members have continued to donate on Amelie’s birthday (Oct 25th) and at xmas. This activity has lead to the addition of the Amelie Fund supporting charities. 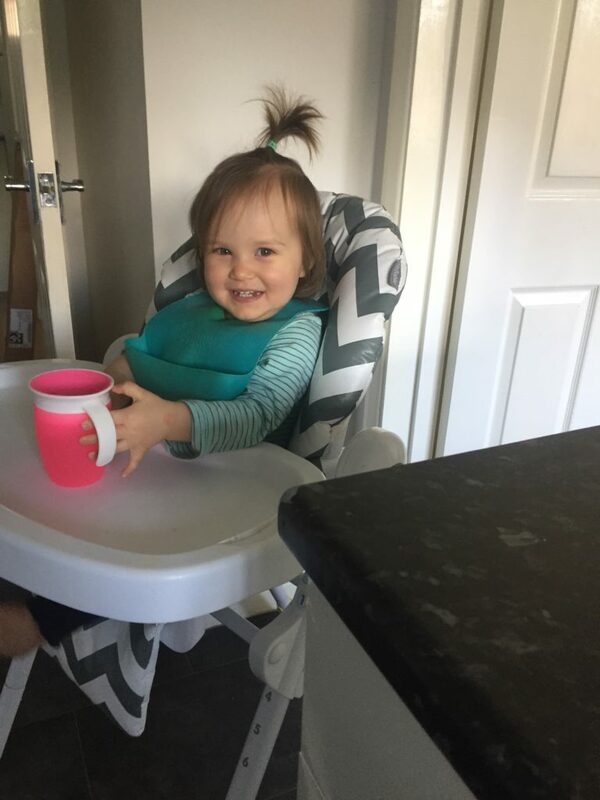 Amelie was just 19 months old when she passed away suddenly in her sleep, on June 10th 2018, of Meningitis. Amelie showed no signs of any illness prior to her death. The loss of my daughter is something that I deal with every day and know I will never ‘get over’. Amelie meant the world to me and as her father the worst thing that I can imagine is that people forget that she existed. 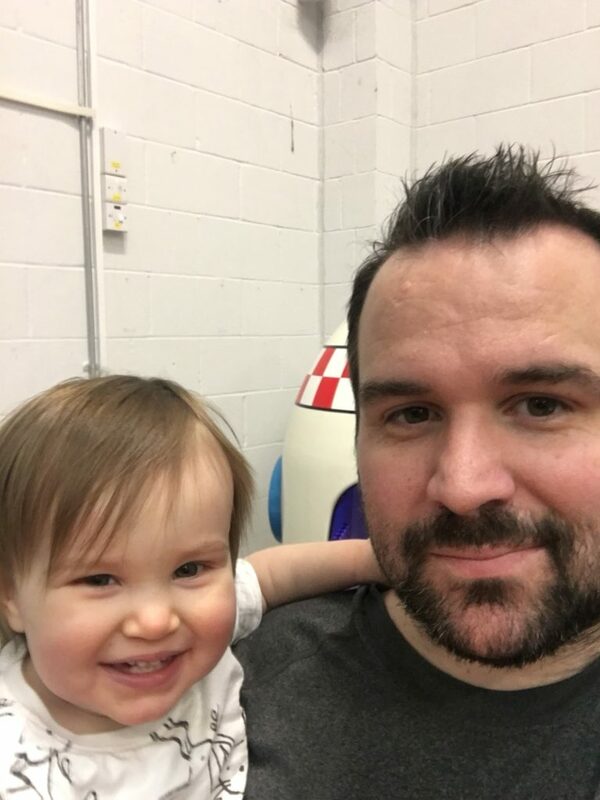 I feel that it is a fitting tribute to name this Fund after Amelie as I know the Amelie Fund will bring a lot of joy, happiness and support to hundreds of people while carrying the name of my amazing little girl. I approach life with a very positive outlook, I strive to always do the right thing in any aspect of it. I believe that for me personally, naming the Fund after Amelie will give me a constant source of motivation and context to ensure that both the Amelie Fund and Gridiron Hub as a whole are successful.